The brand that invented the trench coat has pulled back from the brink with a focus on high fashion. "May you live in interesting times" runs the famous curse, and Burberry, the most venerable of British fashion houses – founded in 1856, supplier of sturdy outer­wear to the likes of mount­ain­eer George Mallory and explorer Ernest Shackleton – has certainly known those of late. Thankfully for its legions of admirers, the good times have outnumbered the bad and the brand has reasserted its position as a flag­ship of the British luxury goods market, justifiably garlanded for its contribution to both high fashion and the high street. Burberry’s modern era could be said to have started in 1997 with the appointment of New Yorker Rose Marie Bravo as chief executive. She brought a new dynamism to a brand that had been seen as increasingly irrelevant and a financial liability. In 2001, she hired Christopher Bailey as creative director, and the Yorkshireman’s under­stated creativity combined with her shrewd licensing, not to mention recruitment of Kate Moss, transformed the company’s fortunes. Suddenly everyone appeared to be wearing the Burberry check; in fact, that soon became a problem. The world and its dog were wearing it – a low point being when one-time "It Girl" Tamara Beckwith was snapped stepping out with a mutt clad in the company colours. Burberry’s wares had become synonymous with the "chav" phenomenon. 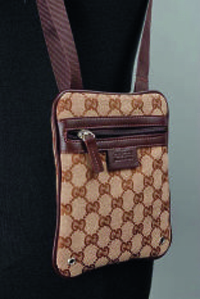 Its check became a counterfeit staple on market stalls across the UK; pubs even started to ban those wearing Burberry. When Angela Ahrendts took over from Bravo in 2006, rescuing the brand’s image was her number-one task. The company had already taken measures by removing the distinctive check from most of its products, ceasing production of baseball caps and doing its best to crack down on the counterfeiters. Moreover, its buoyant sales overseas, where customers remained largely ignorant of the chav furore, ensured that profits remained healthy. Ahrendts – who, at her first management meet­ing, was aghast to see that no one was wearing Burberry – accel­er­ated the process, buying back all its licences and giving Bailey final say on all creative decisions. 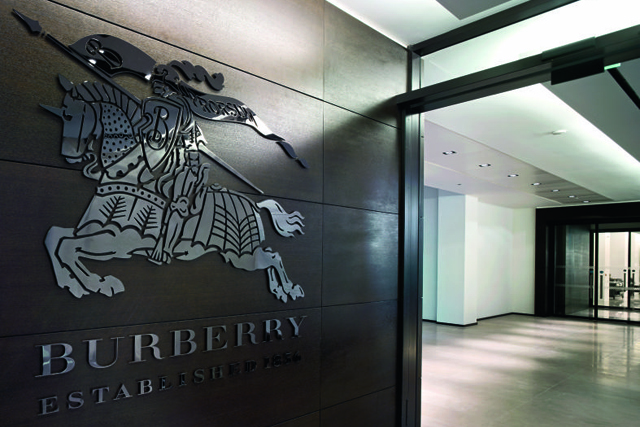 The priority was to reclaim Burberry’s rich heritage – this, after all, was the brand that invented the trench coat. Ahrendts made a point of using her 80% staff discount and £25,000 annual clothing allowance so that she was always seen in the label’s haute couture range, Burberry Prorsum. Profits soon soared, as did Ahrendts salary. In 2012 she took home £17m, making her the highest-paid CEO in the FTSE 100. Despite the economic downturn, Burberry appeared immune, selling alligator bowling bags for more than £14,000, while the company’s value nudged £6.5bn, a mink-lined whisker away from that of M&S. Perhaps inevitably, having so swiftly transformed the image of one company, Ahrendts was poached in 2013 by that most image-conscious of manufacturers, Apple. Burberry responded by making Christopher Bailey its CEO. No one doubts his creative acumen, but handing him this pivotal business role alongside his existing duties is seen by many in the business as a high-risk strategy. Despite its healthy sales figures, it could be that the company is heading for interesting times once again. Burberry’s former HQ on London’s Haymarket, originally one of the brand’s stores, was, according to Christopher Bailey, the inspiration for the setting of the 1970s sitcom Are You Being Served? 28 May 2009 was declared Burberry Day in New York City. At the height of the brand’s image problems the Welsh comedic rap group Goldie Lookin Chain were presented with a Vauxhall Cavalier decked out in Burberry check. When Burberry’s lawyers saw the car – inevitably dubbed a "Chavalier" – being auctioned on eBay, they successfully insisted on its destruction due to copyright infringement. In 1879, company founder, Thomas Burberry invented the fabric gabardine. Originally comprising worsted or a mixture of worsted and cotton, gabardine was waterproofed before weaving. It proved an immediate success and was worn by, among others, Roald Amundsen, the first man to reach the South Pole. Burberry enjoyed excellent results from its spring/summer 2013 range, a fact that Christopher Bailey attributed in part to the involvement of the 10-year-old Romeo Beckham in the ad campaign. 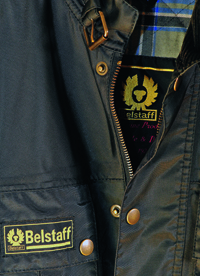 A vintage English brand special­ising in waterproof outerwear, Belstaff has re­­launched in the luxury market with collections that draw on the label’s motor­sport heritage. Under the vigorous new management of Harry Slatkin, it has gained a higher profile, helped by a new flag­ship London store and the addition of David Beckham as the face of its latest campaign. Gaby Aghion’s fashion house found a lucrative gap in the market with its "luxury prêt a porter" and continues to thrive with a range of clothing intended to embody Parisian elegance and laid-back chic. The former stamping ground of Karl Lagerfeld and Stella McCartney, under the guidance of British creative director Clare Waight Keller since 2011, Chloé enjoys a high profile in the key markets of China and the Middle East. The Italian luxury goods brand is now owned by French company Kering, but owes much of its current success to former creative director Tom Ford, who joined the group in 1990 and helped transform its fortunes before leaving in 2004. A byword for glamour, Gucci continues to prosper under Frida Giannini, who helped it regroup after the chaos following Ford’s exit. 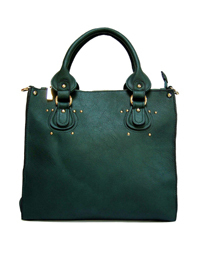 Arguably the British luxury-goods success story of recent years, until it hit stormier waters in 2013 with the exit of creative director Emma Hill, Mulberry’s sales soared due largely to the £700 Alexa handbag, which sold in its thousands. 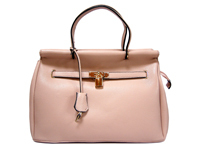 It was named after TV presenter and model Alexa Chung, who provided the inspiration when spotted carrying an old Mulberry Elkington briefcase. 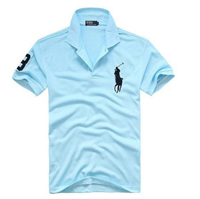 Synonymous for years with preppy style, Ralph Lauren has been built in the image of its self-made, eponymous owner. While some have predicted the demise of preppy style, following the closure of its Rugby label, it would seem unwise to bet against the US juggernaut, especially with recent changes to its corporate structure.